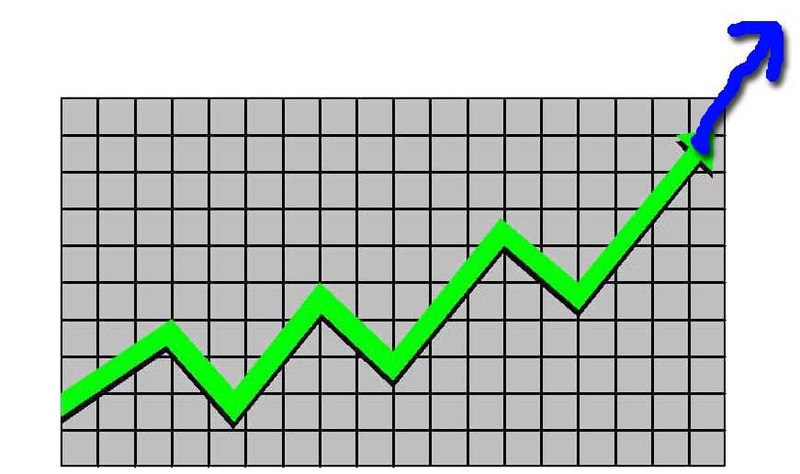 The Lake Hartwell market finished the year strong. Home sales were up 11% over Q4 2017, but the big story is that lot sales were up 237% over Q4 2017 and that was also the second most number of lots sold in any quarter over the last 10 years. The average lot price of $122k was up 3% over last quarter. 83 homes were sold with an average price of $360k, with the average price up 12% over last quarter. The number of available lots is down 11% from last quarter and the available home inventory is down 24%. 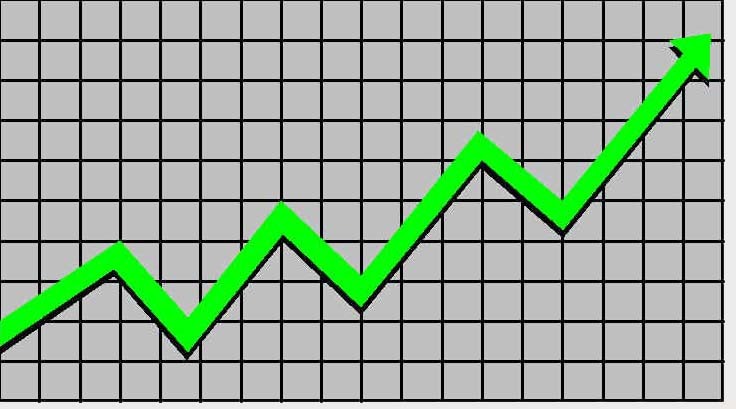 The absorption rate is the number of months that it would take to sell the existing inventory at the existing rate of sales. While the absorption rate for lots is still high (plenty of inventory), the absorption rate for homes is at 7 months, which is very near a balanced market (6 months). With sales sure to pick up as warmer temperatures approach, there couldn't be a better time to let us help you find your spot on the lake. On weeks like this one, it may feel like we will never see warm temperatures again, but believe it or not, boating season is only a few short months away! If you think this might be the year you finally get your first boat or upgrade to a newer model, make sure to check out the Upstate South Carolina Boat Show at the Greenville Convention Center this weekend (Jan 24-27). And even if you're not ready to buy, they sure are fun to look at! Whether you're interested in a PWC, fishing boat, pontoon, or ski boat, the boat show has you covered. And you're definitely going to want somewhere to help you maximize the use of your new toy, so come let us help you find your spot on the lake! 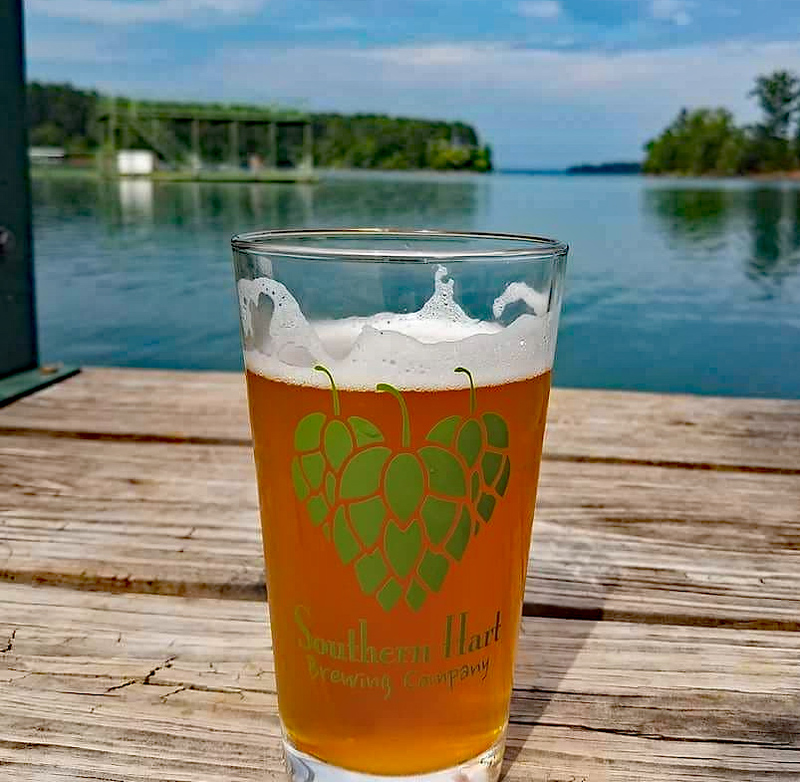 We are excited to announce that Hartwell now has its first brewery, Southern Hart Brewing Company. The ribbon cutting celebrating the opening will be on Friday, 1/18/19, at 10:30 AM. They will be open immediately following with food and beverages available. (It's 12:00 somewhere.) I can't wait to visit and support one of the new local establishments that help to make our area great. Make sure to save some time to let us help you find your spot on the lake. We can drive. One of my past clients, Bill Powell, captured this moment on 1/1/19. I hope all of you had a fun and safe New Year's Eve and welcomed the New Year with family and friends. 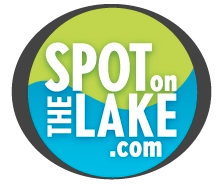 Our work schedule was a little more relaxed over the holidays, but our SpotOnTheLake team was able to finish the year strong. We helped 110 people buy or sell real estate in 2018 generating over $23 million in sales, making it our best year ever. We are especially grateful to the clients that took time to let us know how we did by submitting an online review here. If you have been considering buying or selling a lake property, we hope we will have the chance to work with you in 2019. Let us know how we can best serve you. 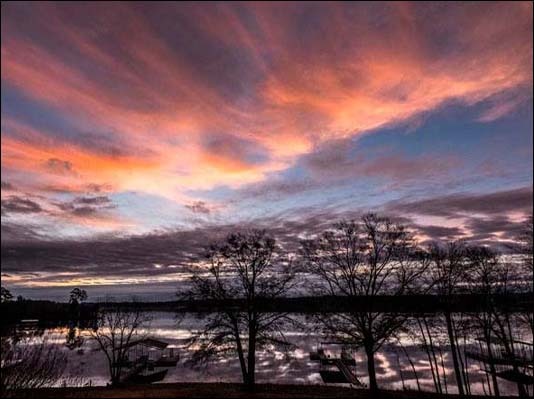 Lake Hartwell has its share of avid fisherman, and many of them love to find their catch after dark. You will likely see the night vision fish finders on a lot of angler's Christmas wish list. 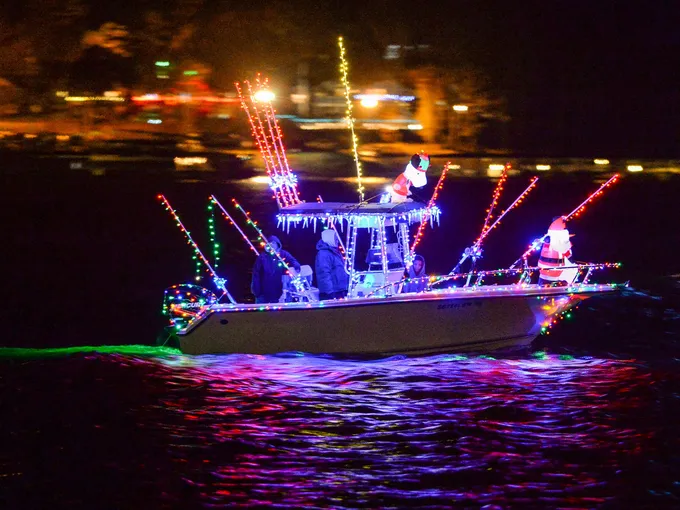 This festive fisherman took it to the next level by illuminating his whole boat. 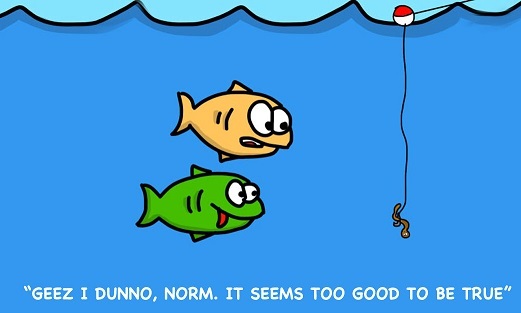 I am not sure if the lights helped him find the fish or scared them all away, but you can bet he had fun looking for them. For more photos of more Christmas light boats, click here. I hope you have a Merry Christmas! The end is in sight at the Lake Hartwell dream home. 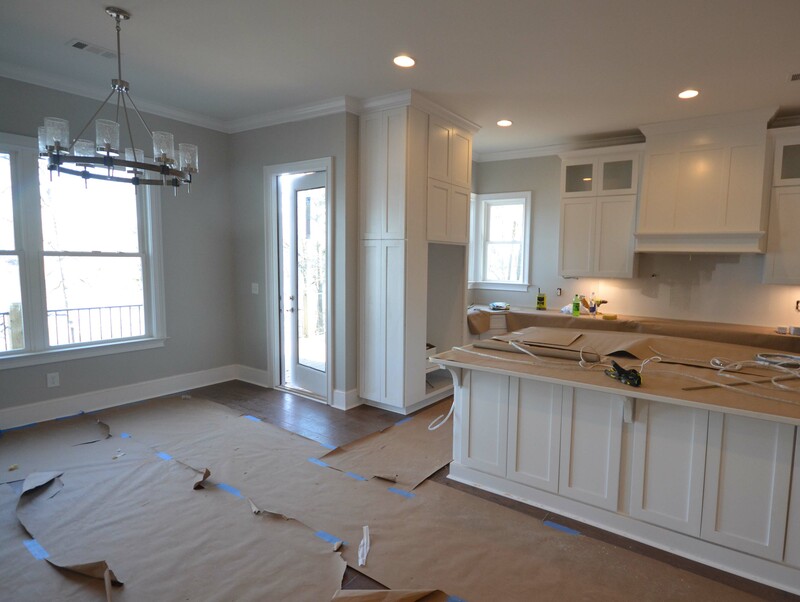 Our builder has been completing flooring, interior trim, painting, kitchen cabinets and tile work in the bathrooms. The driveway has also been poured, which has been a welcome addition given all of the rain that we have had. Click here to see more photos and make sure to contact us if we can help you find your spot on the lake. No - I'm not talking about the second-ranked Clemson Tigers football team. There is another group of athletes at Clemson who train year-round to compete in the National Collegiate Water Ski Association. Clemson is one of the only schools in the country that has a water ski training facility (Lake Hartwell) on campus. Boat and ski equipment manufacturers are happy to share their gear freely with some of the nation's best skiers. Athletes compete in slalom, trick and jump events against other collegiate teams around the country. Take a quick look at this fun video that WYFF news aired a couple of weeks ago to see what the team is all about. And don't forget to save some time to let us help you find your spot on the lake. As we roll into December, most of us are looking forward to spending time with family and friends while celebrating the holidays, but we are also faced with the realization that tax time is fast approaching. If you want to make your Georgia state income tax count for something, you may want to take advantage of the rural hospital tax credit program that the legislature has put in place. This program allows a 100% tax CREDIT (not a deduction to income) to go to a rural hospital of your choice, including Lake Hartwell's St. Mary's Sacred Heart Hospital in Lavonia. Individuals can receive a credit of up to $5000, and couples filing jointly can receive up to $10,000. Click here for more information and to apply.